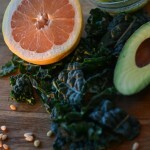 There are tons of things I LOVE about going raw, especially in the summer. When you go raw, you are getting tons of enzymes into your system without destroying any vitamins and nutrients. • You look younger. Enzymes bust free radicals that we are exposed to constantly in our products and environment. • You feel energized. Raw nutrients feed your cells immediately; there’s less work for your body to do which means healing and rejuvenation happen fast. • You are lighter. Smoothies, juices, salads, chilled soups, all kinds of seasonal delights can ease bloating and flatten the tummy. And I especially dig the uncooking part! Yes, uncooking. So what I mean is that you aren’t getting your pots and pans dirty with heating your food. 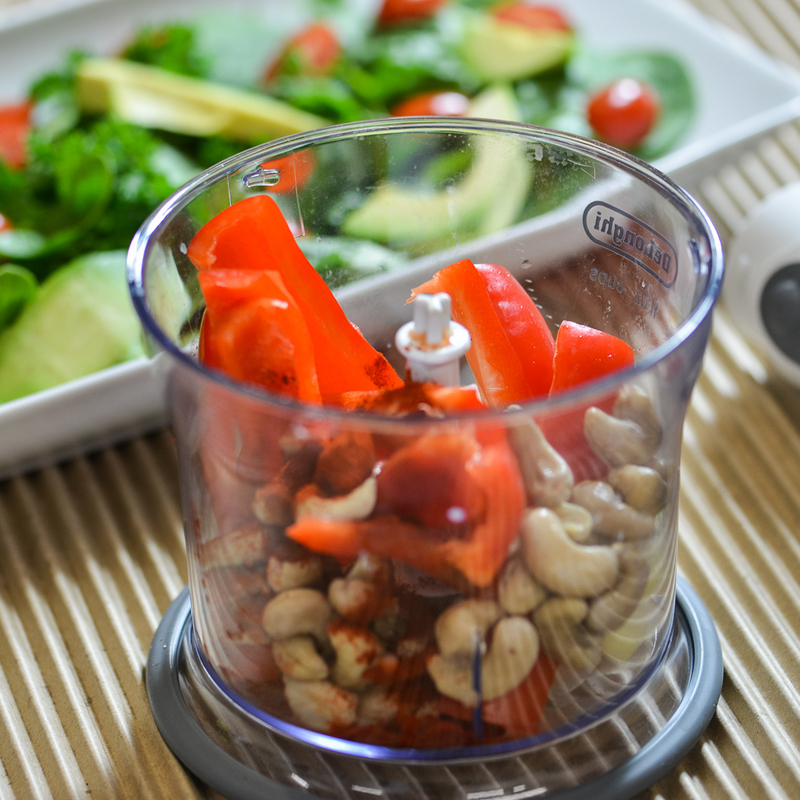 So less mess in the kitchen and making meals is even quicker than ever. 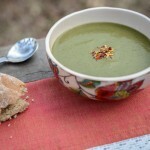 I’m excited to share a new Raw Renewal recipe (a sneak peek!) so you can achieve all of the above with uncooking. (Oh, and the healthy fats in avocado will do wonders for your skin and help give you that ever-famous raw glow! 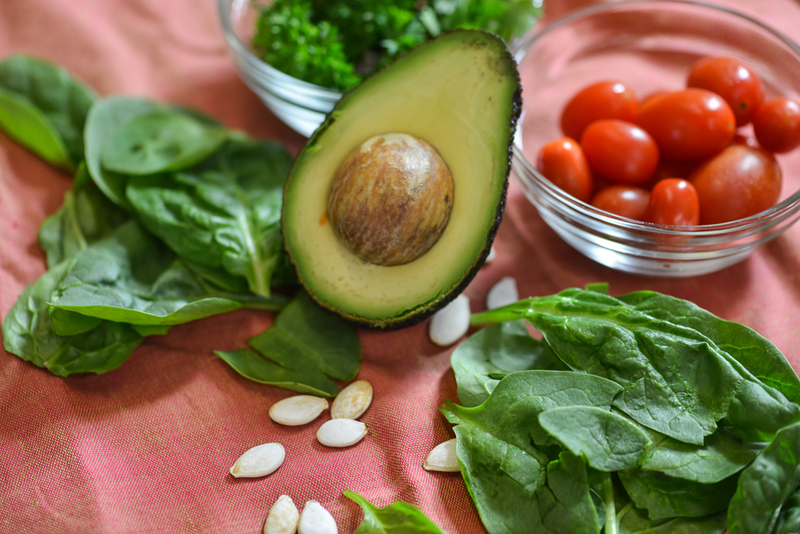 AND avocado provides nearly 20 essential nutrients including fiber, potassium, Vitamin E, B vitamins and folic acid). Soak cashews in bowl of cold water for 30 minutes then drain and put in food processor. Add rest of dressing ingredients and blend until smooth and creamy. 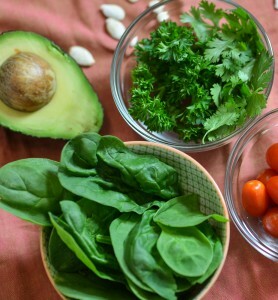 Put the tomatoes, spinach, cilantro, parsley, and avocados in a bowl and toss with the dressing. Top with pumpkin seeds. Serve. 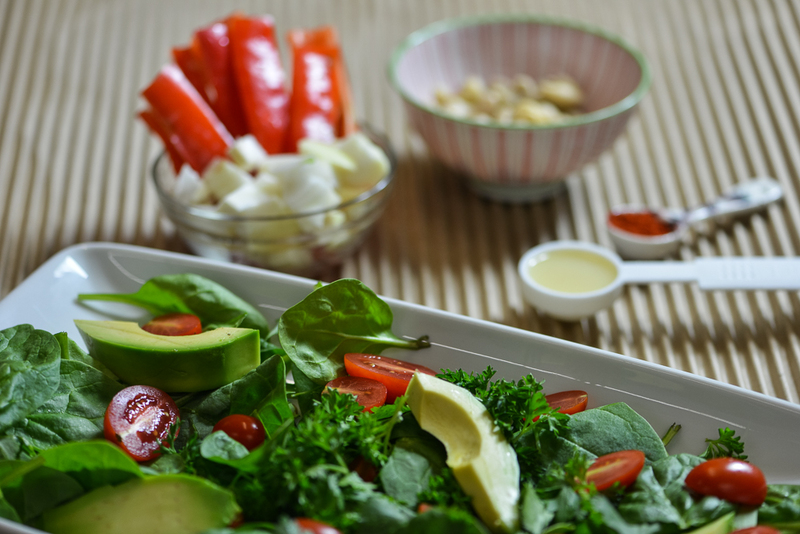 Make this delicious salad and report back! 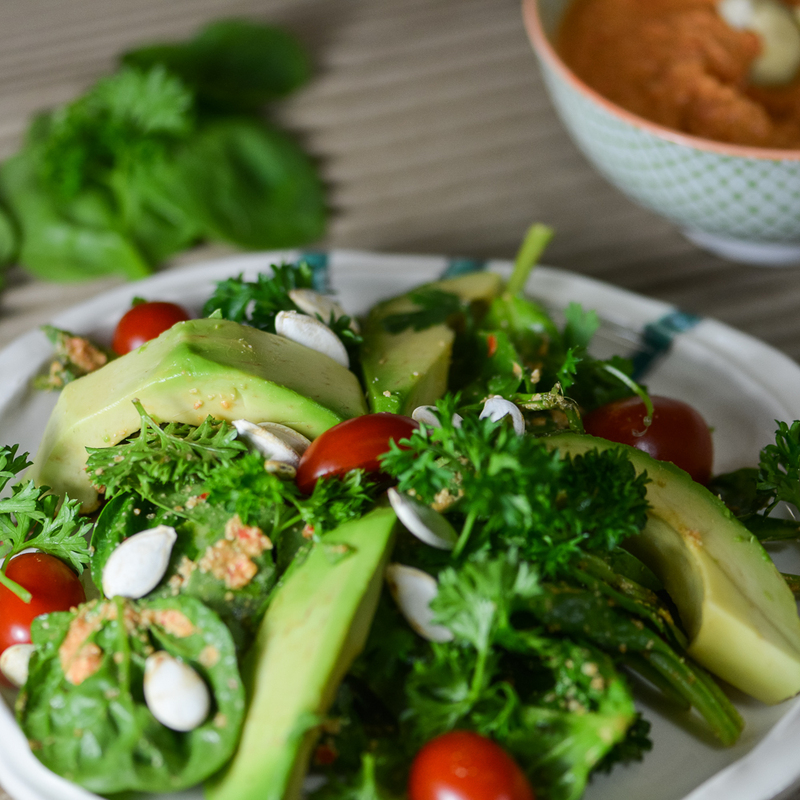 What fun salad creations are you making these days? Please share as I know it will be helpful for everyone in our community. 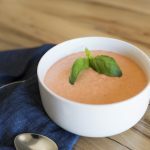 We LOVE new recipes! PS. 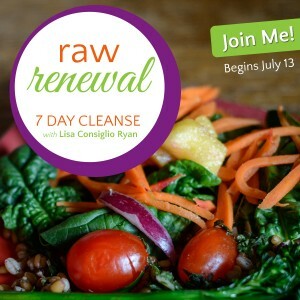 Join me for the NEW Raw Renewal 7 Day Detox. I would love it!